Edited by ToxicPenguin_, 10 June 2016 - 06:55 PM. Good instructions. 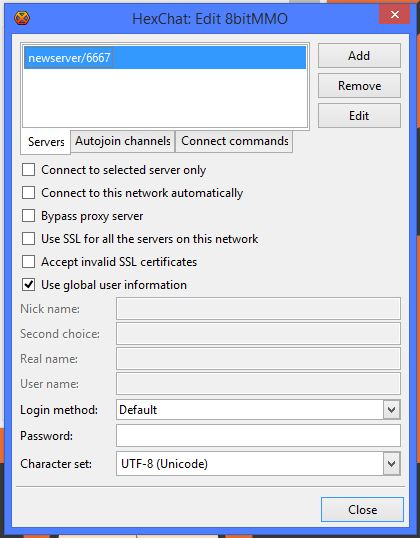 For extra security, you can enable SSL by connecting to port 6697. 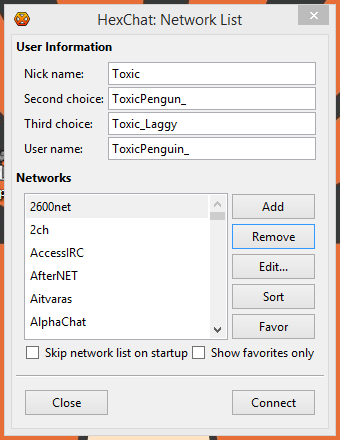 What do I do when I crash joining a specific channel? Uninstalling and reinstalling isn't helping and I don't know how to reset the settings. How to Make Legit Moola in 8BitMMO!